Selleys Porcelain Fix is a high strength two part white epoxy adhesive filler in a handy dual syringe. Specifically designed to fill and repair cracks, chips and breakages in porcelain, enamel and crockery. Should not be used on objects subject to high temperatures such as ovens and dishwashers. Surfaces joined should be clean and dry. Remove cap and pierce seal in each nozzle with the spatula/pin provided. Dual syringe will dispense equal portions of Part ‘A’ and Part ‘B’. Mix thoroughly. Apply to one surface, then bring together and hold using tape, weights etc. Once cured this product is extremely difficult to remove. Any material squeezed out of joints or split is best removed before it sets using Solvent Acetone or Methyl Ethyl Ketone solvent. Wipe nozzles after use. Pullplunger back slightly and replace cap firmly over nozzles. For filling only, can be tinted with iron oxide or other dry pigment which must be mixed in very thoroughly. Softens at high temperatures, but strength returns when cooled. Wear protective gloves and eye protection when mixing or using. 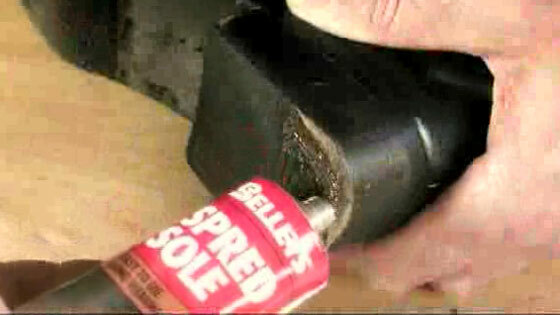 To remove product after cure, mechanical action (scraping or sanding) is recommended. Since the product is chemically resistant solvent will NOT dissolve this product. 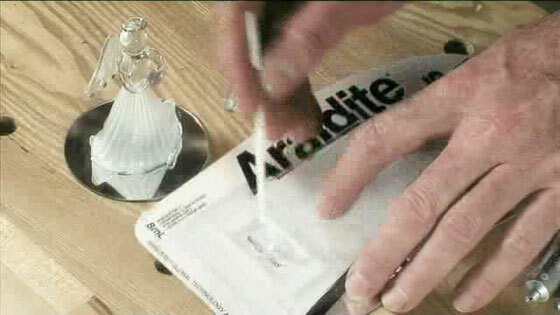 To reposition the bond once cured, check that the item is heat resistant. If safe, heat the item slowly, e.g. in an oven, to at least 150oC. The product will soften and liquify slightly. Scrape off any excess then reposition the joint carefully using appropriate safety equipment. Allow the item to cool down in the correct position. The product will reharden once returned to room temperature. Avoid contact with skin and eyes and avoid breathing its vapours. Wear protective gloves when mixing and using. If poisoning occurs, contact a doctor or Poisons Information Centre. Phone Australia 13 11 26 or New Zealand 0800 764 766. If swallowed DO NOT induce vomiting. Give a glass of water and seek medical advice. If skin contact occurs, remove contaminated clothing and wash skin thoroughly. If in eyes, hold eyes open, flood with water for at least 15 minutes and see a doctor. For further information refer to the Material Safety Data Sheet (MSDS). Store syringe in upright position with nozzles uppermost, in a cool dry location, away from direct sunlight.